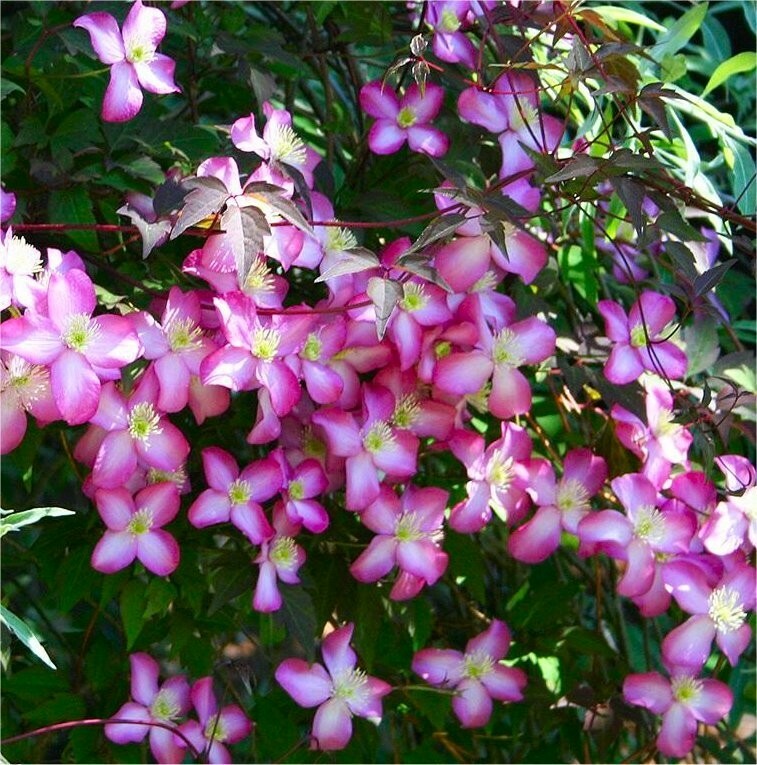 Beautiful, bright cherry-pink flowers in May and June amid purple-flushed, mid-green leaves. 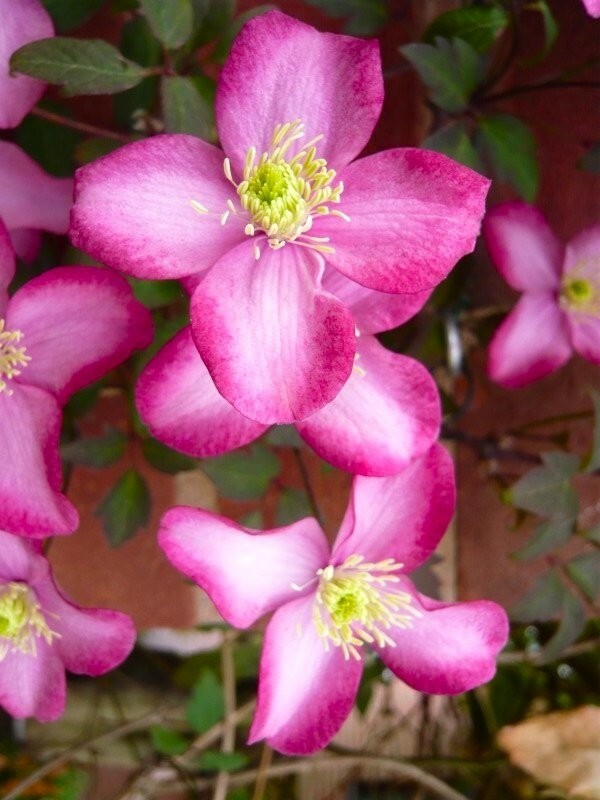 This award-winning form of montana clematis is ideal for covering a wall or fence in a north-facing site. 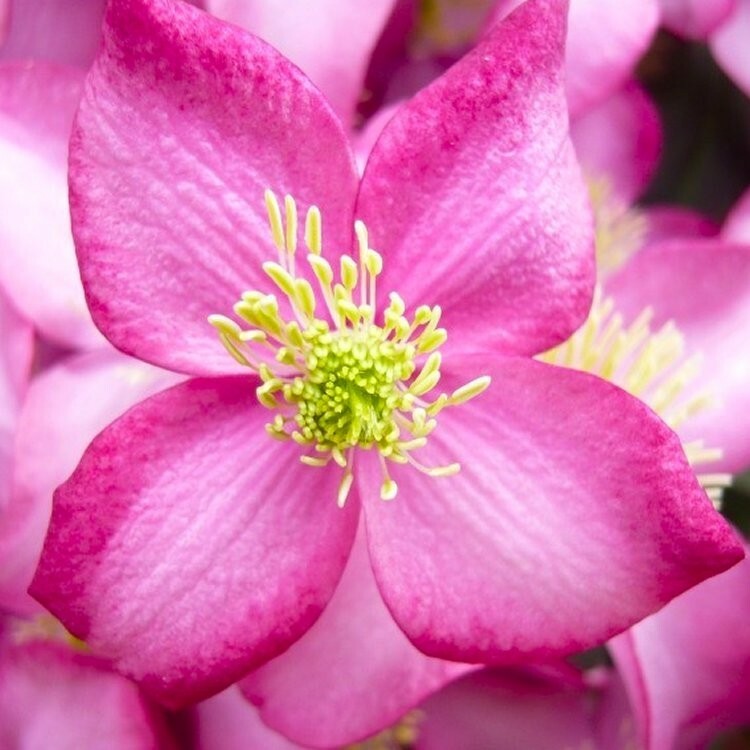 This Clematis is perfect for small gardens, being a less vigorous form of other popular montana varieties. Supplied in approx 2-3 litre containers.